Namaste and welcome to Bajaj Indian Home Stay ! Hearty hospitality has always remained one of the most valued fine traditions of the Indian culture. A guest visiting an Indian home is always considered to be a representative of God. You are invited to experience and share the unique hospitality of Indian home stay - an experience that\\\'s Indian, altogether. Bajaj Indian Home Stay is an amalgamation of a traditional hotel and Guest House which offers you a stay in the ambience of an Indian home, situated close to the commercial hub-centre of Delhi. Thoughtfully designed with modern amenities, Bajaj Indian Home Stay offers the opportunity to unwind and relax, to both the business as well as the tourist traveller. 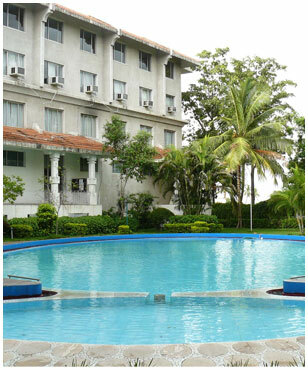 It\\\'s our continous endeavour to make you always feel at home - in a home perhaps, away from your own. The emblem of the Bajaj Indian Home Stay has been created by using both traditional as well as contemporary Indian motifs, colours and design elements. The name is typeset within a frame resembling a Jharokha* generally found in homes and havelis** of northern India. The various rooms at Bajaj Indian Home Stay are named after popular Indian mythological and historical characters as well as some of the avatars*** revered by the Hindus. Each room is a different experience. Each has a different story to tell.